There have been so many highlights from 2014 that it makes it difficult to narrow down my favourite moments from the year. This is now the third time that I have sat down and reviewed the year that was and each year, I remember thinking how far it had all come from the days shooting at Gold Coast Parklands and Archerfield Drift. People often ask me what it’s like at all these tracks around the world and the part that surprised me the most is that at its core, it’s all the same. 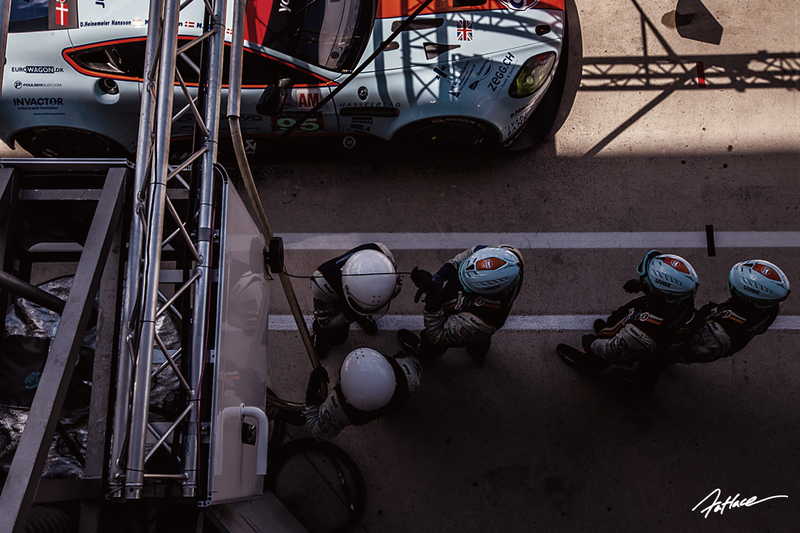 You meet the same dedicated, passionate people that love motorsport. Those who have dedicated their lives to making something from nothing in an industry that is both harsh and unforgiving. I have seen many come and go over the years, who look from the outside and see this ‘glamorous’ world of motorsport, but as anyone who works in and around it will tell you, it is often anything but. 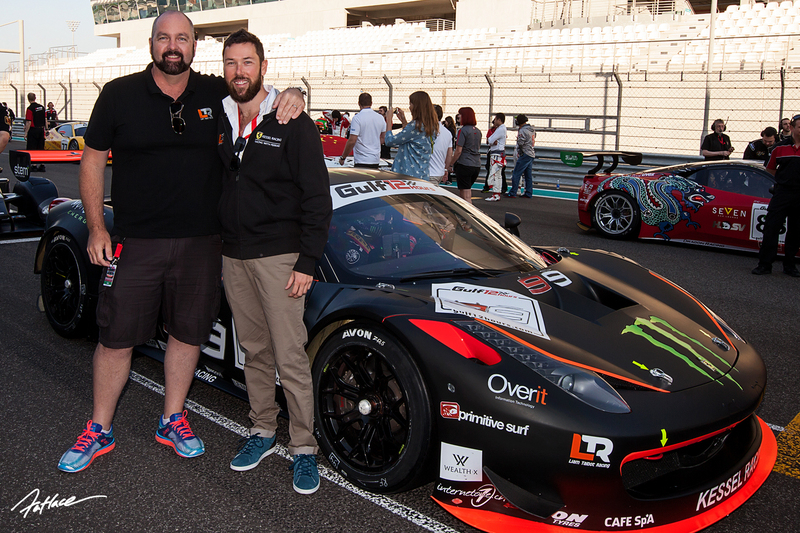 It takes seriously hard work to make it at any level of motorsport and the people that stick it out are not those looking for the easy ride and the quick rise to stardom. The people that stick it out are there because there is nothing in this world they would rather be doing. That is why you meet so many wonderful people in this game, the shared love of motorsport is the bond that brings us all together. To those who don’t understand cars and motorsport, we probably seem crazy. Let’s face it, we probably are! Thank you for taking the time to have a look at this collection of my favourite moments from 2014. 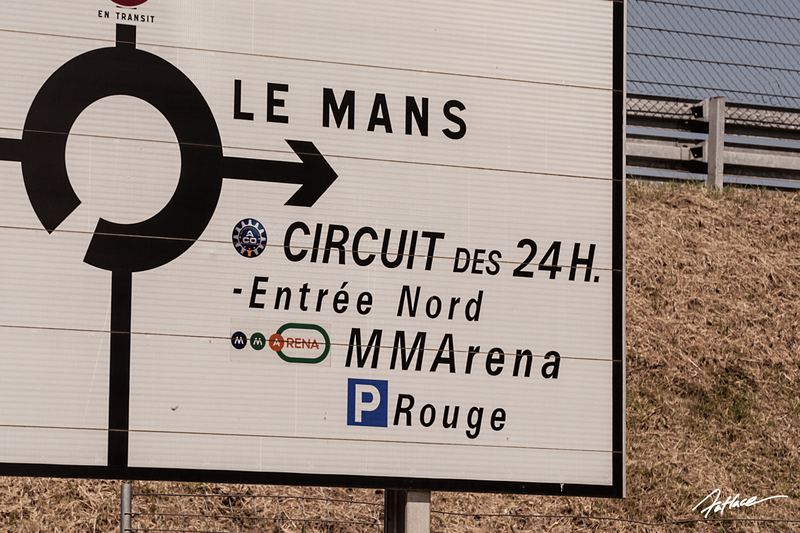 The first stop of the year was a quick visit to LeMans travelling with the team from Liam Talbot Racing. Driving in to the circuit, it took close on two hours to get to the track from the freeway and find a park. On the bright side, the traffic was fairly impressive. The scale of the event was mind blowing. 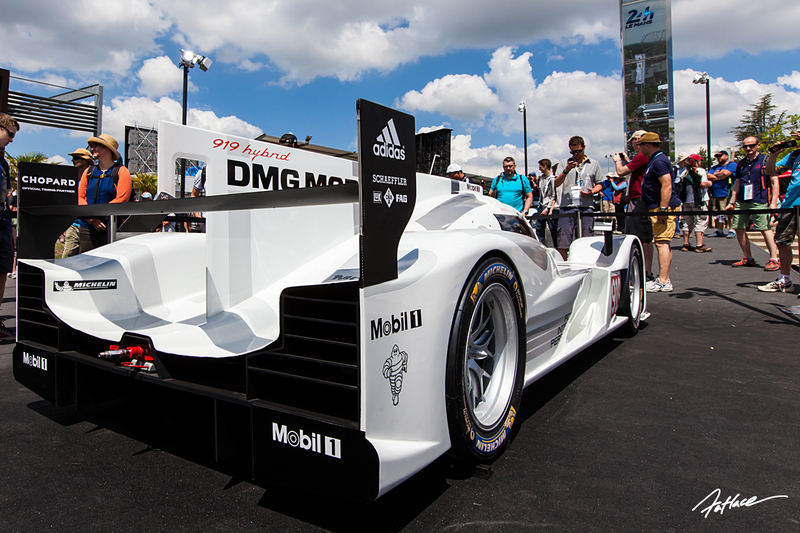 Porsche fans were out in force as the factory made a return with the 919. As we were guests of Aston Martin Racing and only at the circuit for a few short hours, we didn’t have time to check out the entire track. I certainly hope to get back one day! 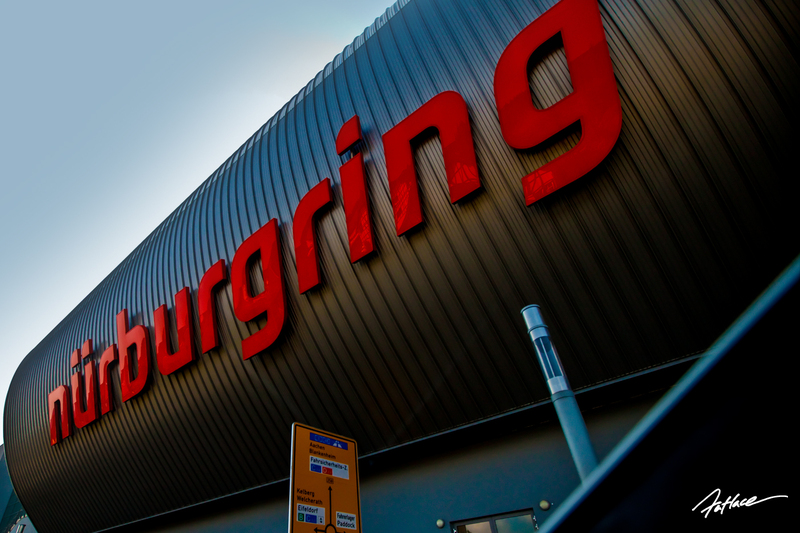 Next stop was the Nurburgring. 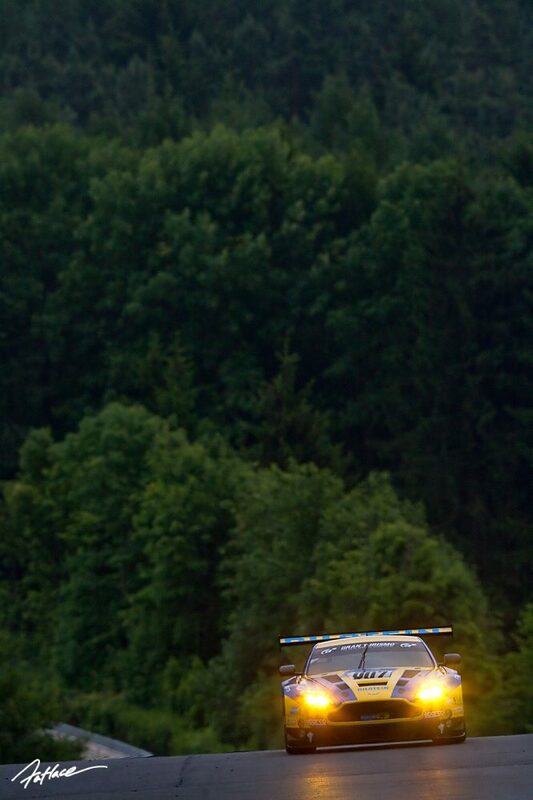 The one and only Green Hell. The myth and legend that surround this place all make sense when you arrive. I was so excited as we dove past the sign I didn’t even wait to get out of the car and snapped this as we drove past. 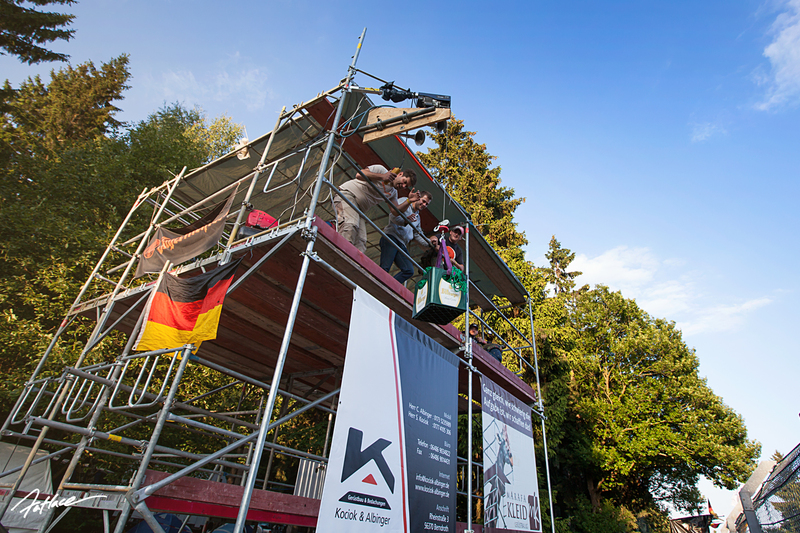 Climbing to the top of Nurburg Castle overlooking the circuit, you are greeted with the most stunning view. This is what you see from the top of the castle. This image has been my desktop background since that day, there is just something truly magical about the Ring. It was everything I hoped it would be and so much more. 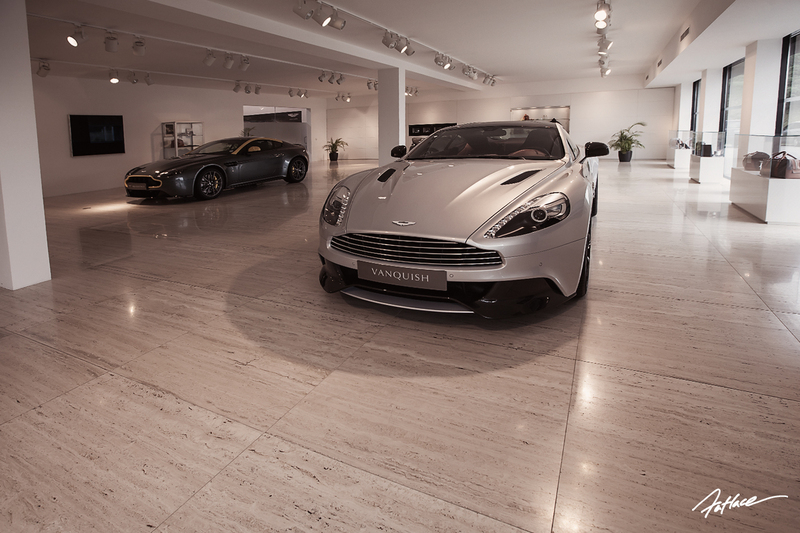 Racing with the Aston Martin Test Centre, we dropped in at their Nurburgring facility. It was just as perfect as you would expect. German ingenuity at it’s finest. 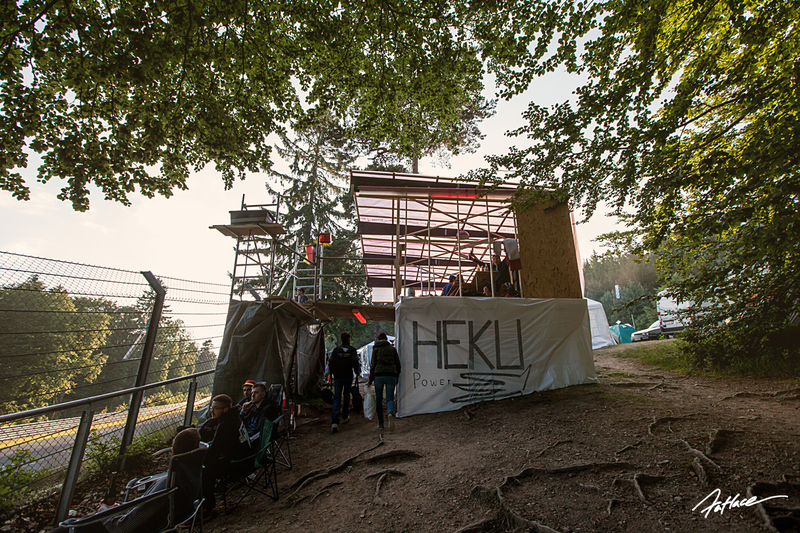 When you build a three storey viewing platform, would you want to carry a crate of beer up? Not likely! Just install your own crane! Get bored watching the racing? No problem! Try not to break any limbs going down this terrifyingly steep makeshift waterslide! 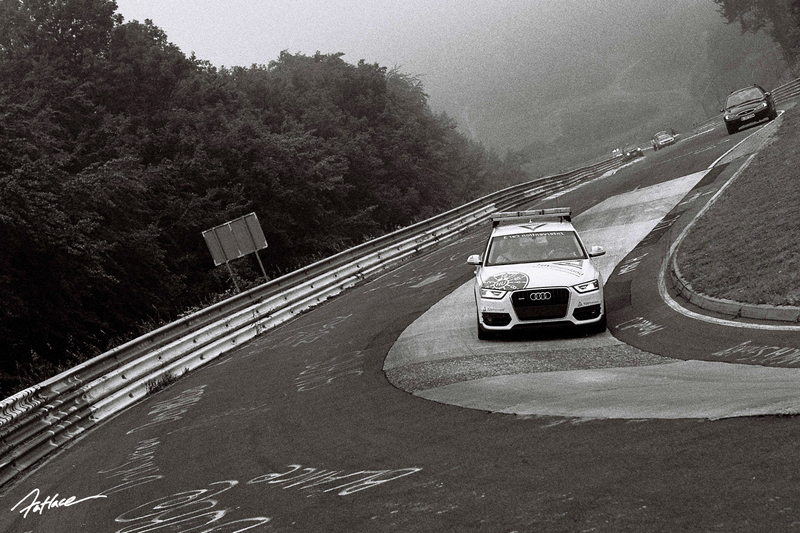 Shooting at the Ring was a surreal experience, the beauty of the track caught me out more times than I can remember. I remember just staring in awe every time I came around a corner and spotted another beautiful scene to shoot. This was the sun setting over the track. 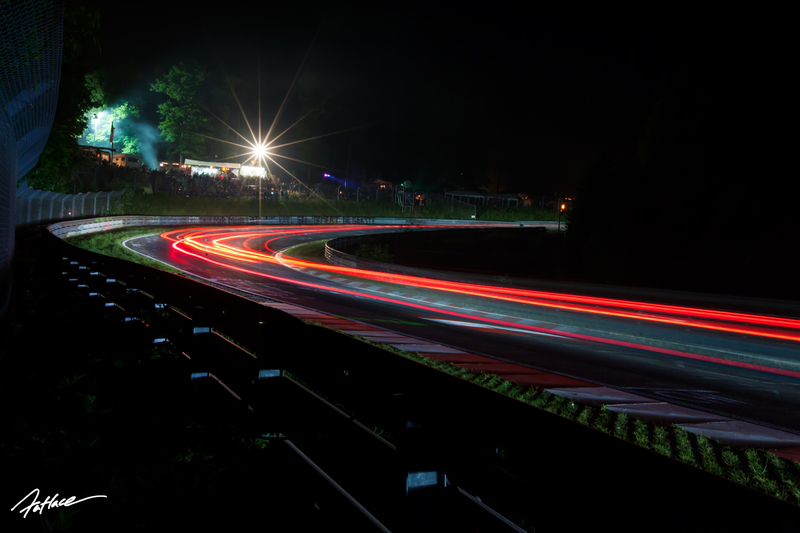 Being my first ever 24 Hour race, I was excited to shoot light trails. This was taken at about 2am. All you could smell was campfires and overhead were fireworks exploding as the crowd were firing them constantly into the air, a truly a wild experience. One more from one of my favourite spots that I have been to so far. 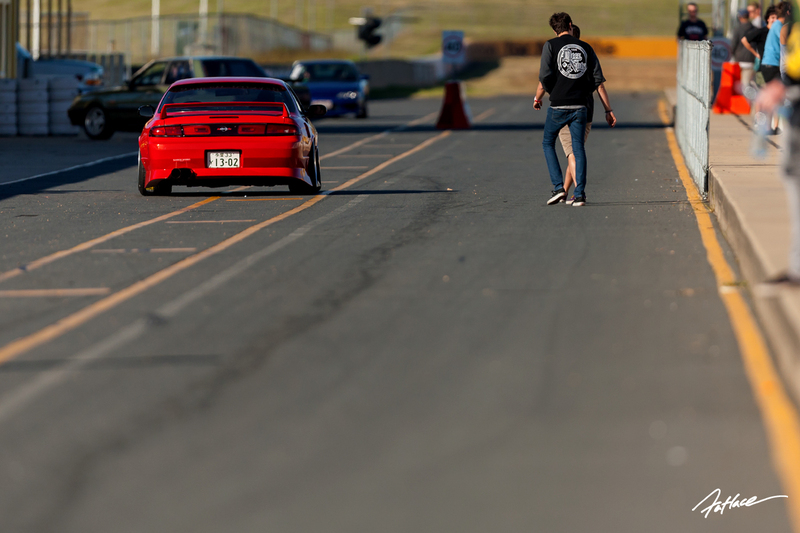 Local photographers tell me it takes about 10 years to learn the track. 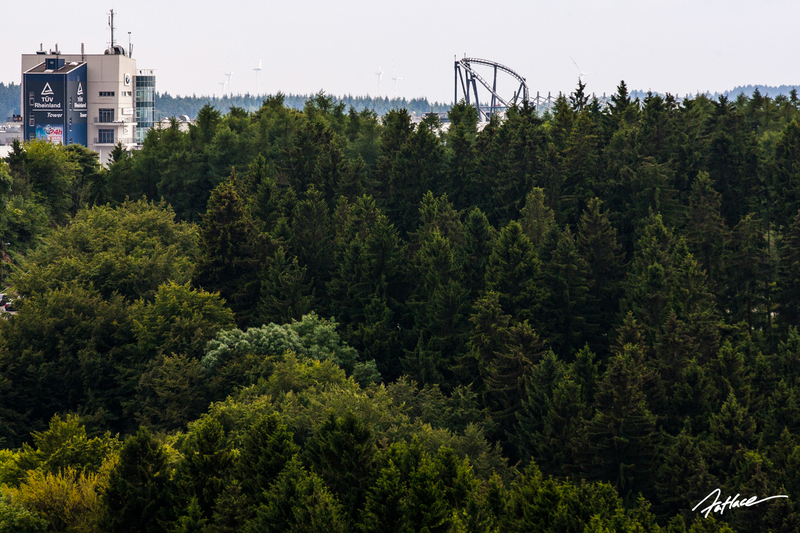 This is shot at Flugplatz, where many of the cars will lift off the tarmac as they clear the crest. This is Aston Martin Racing number 007 (of course) coming over the crest at Flugplatz. 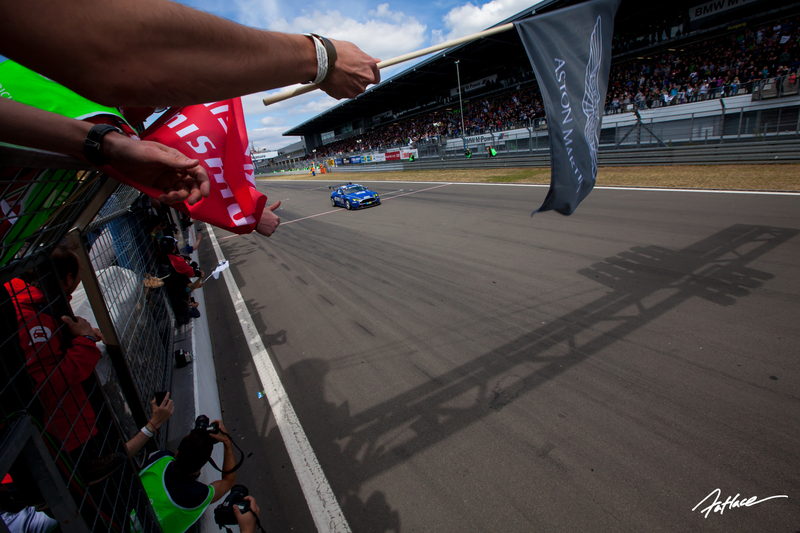 One final shot from the event, as our car crosses the line. 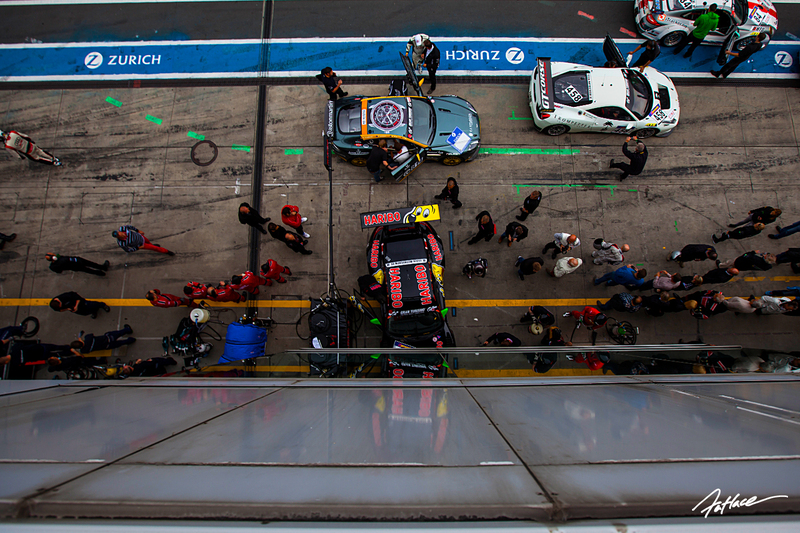 I scaled the pit wall fence that is a few metres high and as I did I looked down and saw a security guard. Thinking he would tell me to get down I looked at him and say “This ok?”. He stared for a second and replied, “Media. No problems.” Not what I was expecting!!! 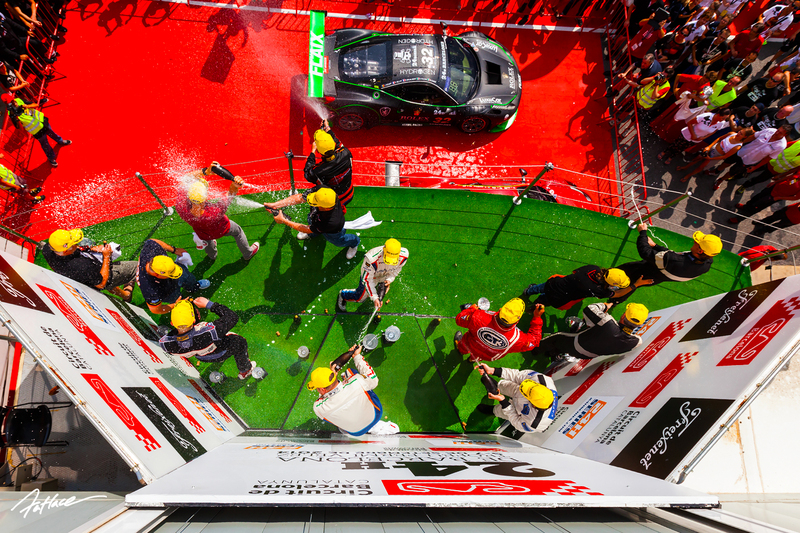 The joy of the team finishing a 24 Hour race was unlike anything else. 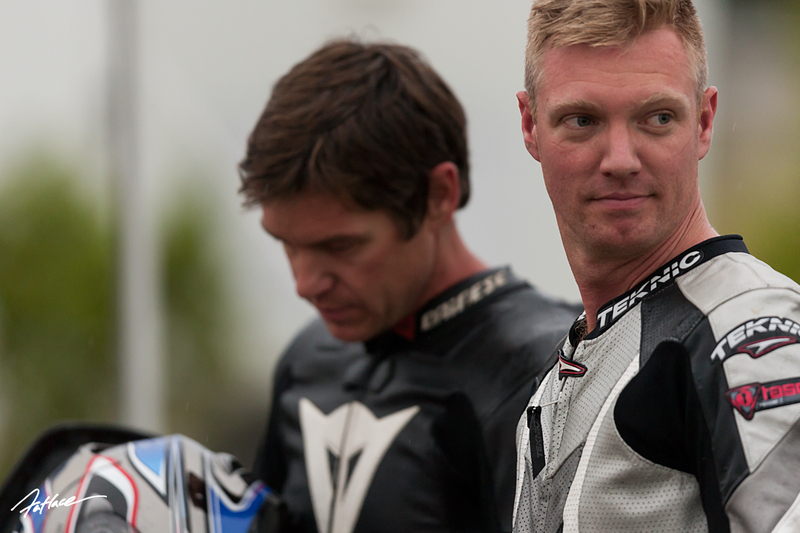 It is a marathon for all involved but is an addictive style of racing. 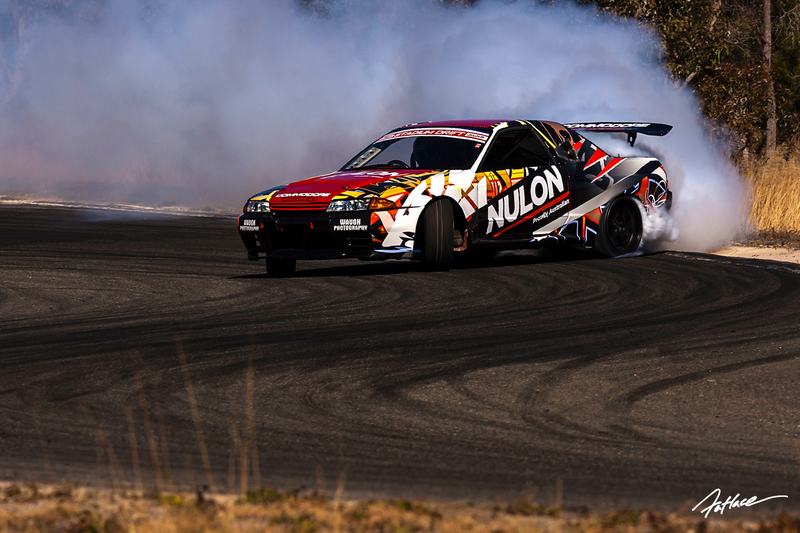 Back in Australia, I had the opportunity to head out to Stanthorpe to shoot Stadium Drift, this was one of my favourite shots of the day, as Josh Boettcher and Levi Clarke initiate into the first high speed entry. 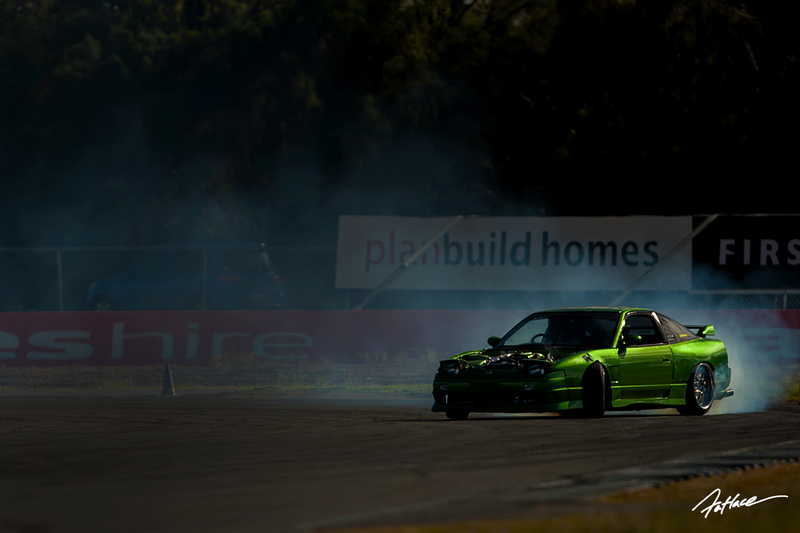 Mick Rosenblatt has been killing it in his V8 powered R32. 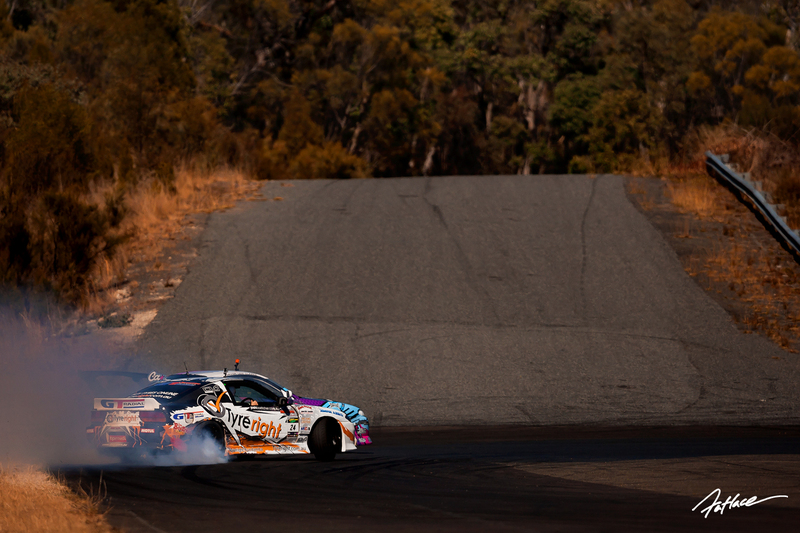 Love it or loathe it, big power has become the way of top level Australian Drifting much the same as FD in the USA. Next chance I had to shoot a few frames was at a Wednesday QR Morning Session. One of my favourite local events to get out to, they are totally chilled with some seriously impressive cars out blazing tyres. 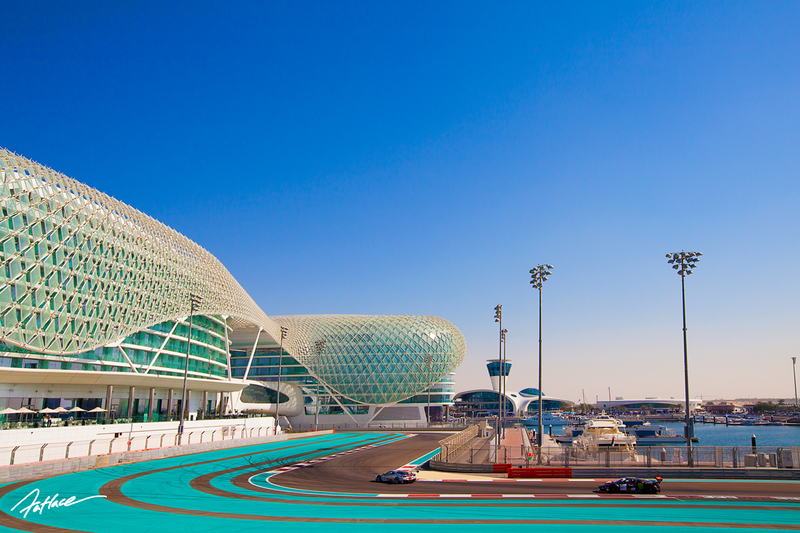 The next stop on the calender was at a track considered to be one of the most beautiful in the world. 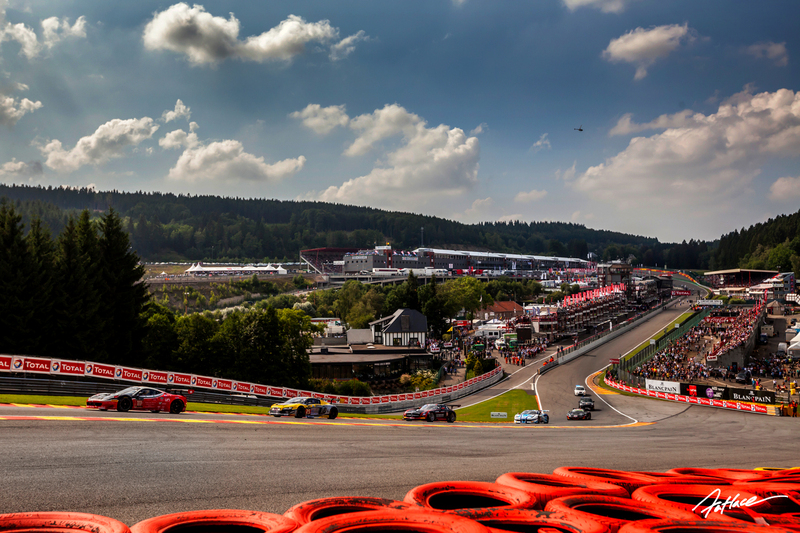 The Circuit de Spa-Francorchamps. 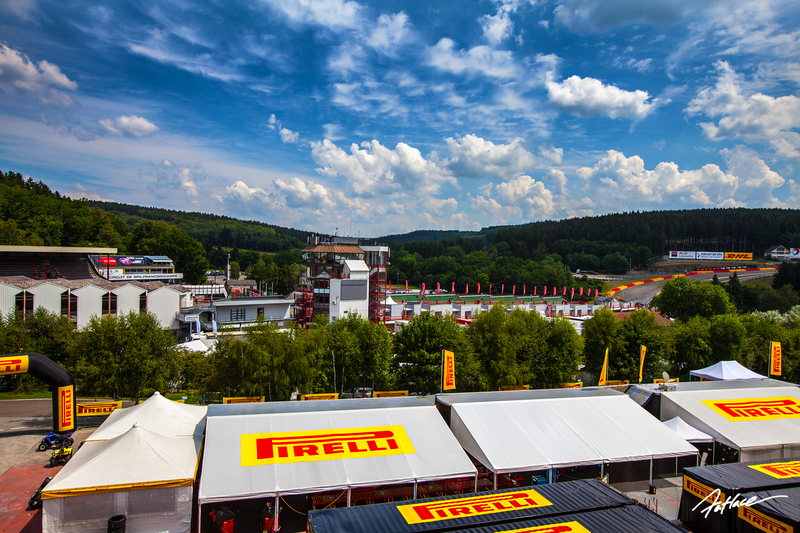 In the distance, you can see the famous corner, Eau Rouge. This was the view from the back of our pit garage. 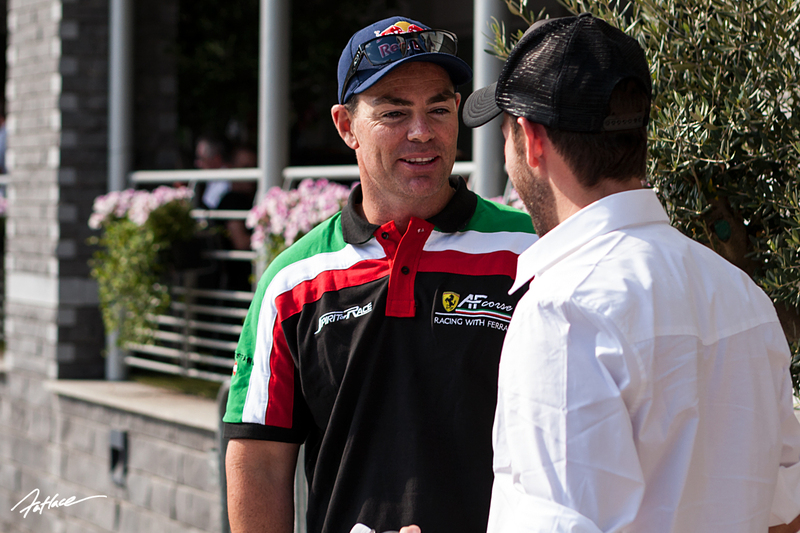 Always good to catch up with other Aussies overseas as we ran in V8 Supercar legend, Craig Lowndes. 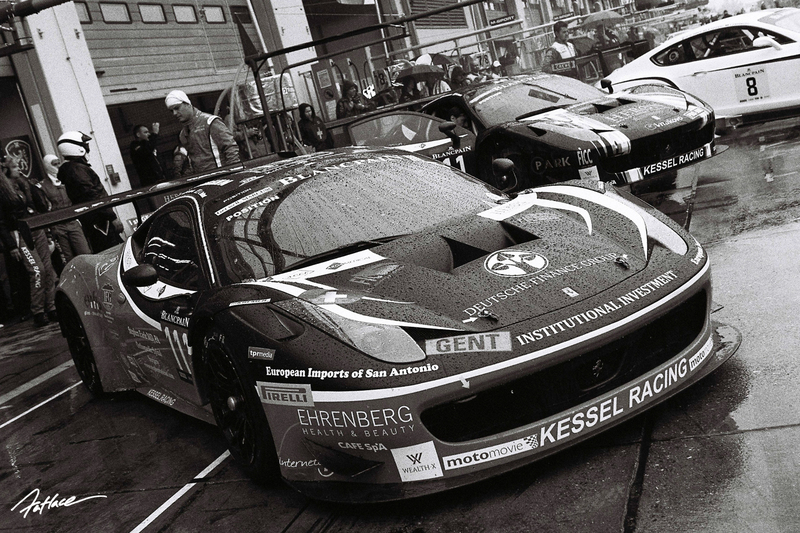 This was our first introduction to the powerhouse that is Kessel Racing. 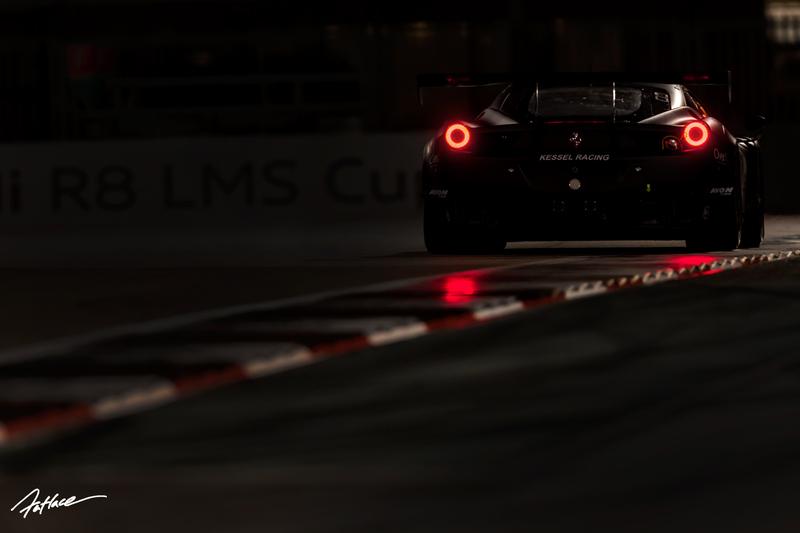 Running a Ferrari 458 GT3, this was all my childhood dreams come true. 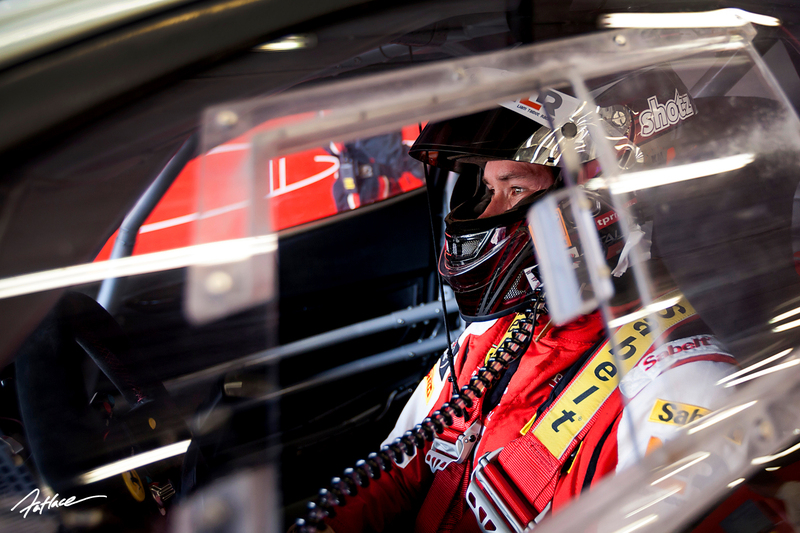 Even more excited than I was – but now in super serious mode, Liam Talbot behind the wheel getting ready to roll out for his first session in the Ferrari. 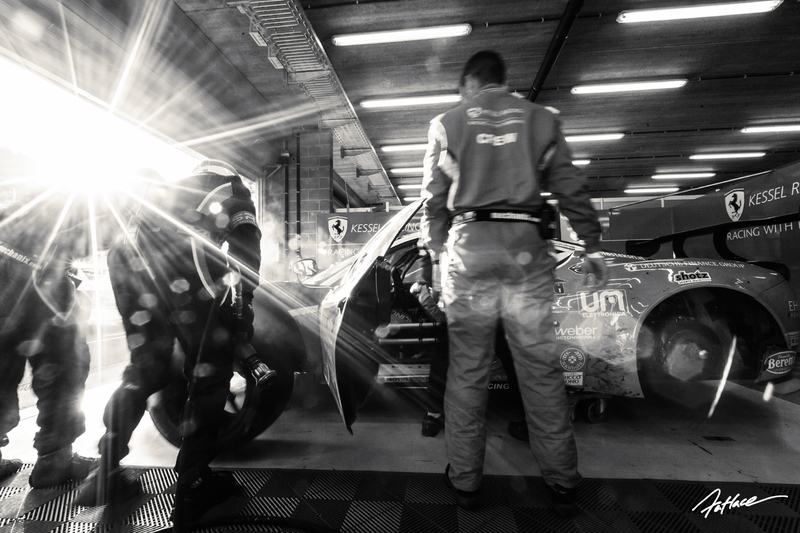 Shooting a Ferrari team at Spa-Francorchamps was everything I hoped it could be. Words can’t describe the beauty of this track. As I floated around the track in a state of photographic bliss, I got an urgent call telling me to return to the pit garage. Never a good sign, particularly since I hadn’t seen the Ferrari for about half an hour. arriving back at the garage, my worst fears were confirmed. 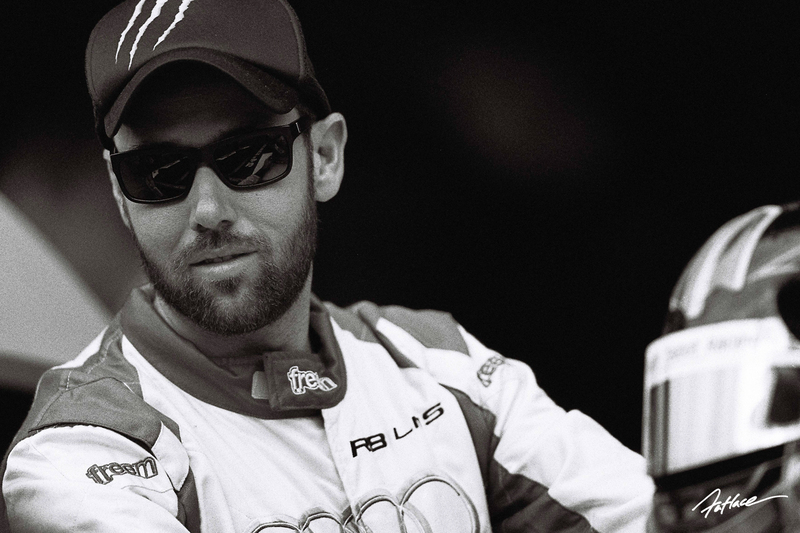 Our friend and team mate Marcus Mahy had been involved in a horrific accident. Through a high speed section, he was shunted from the rear and unloaded straight into a wall. 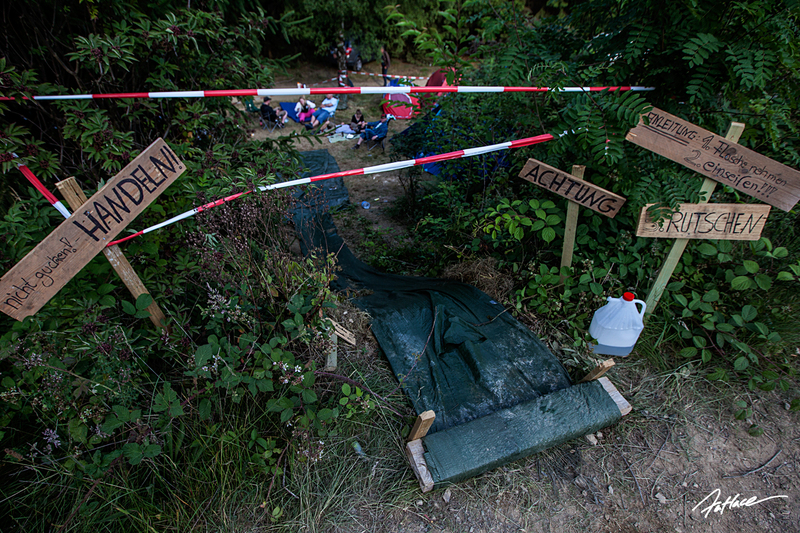 The medics on site were radioing back and information was limited and in a variety of languages. Their expressions told us everything we needed to know. The news was not good. Marcus was airlifted out and we dropped everything and jumped in the car to follow the chopper to the hospital. We experienced the full fury of motorsport that weekend. From the highest of highs to the lowest of lows. Marcus has fought one hell of a battle to recovery and his strength is nothing but inspiring. I am delighted to able to say that Marcus is home again and slowly getting back to normal. Considering the extent of his injuries, it is nothing short of a miracle coupled with his strength and determination to get better. Back in Australia, I had certainly had the wind knocked out of my sails. 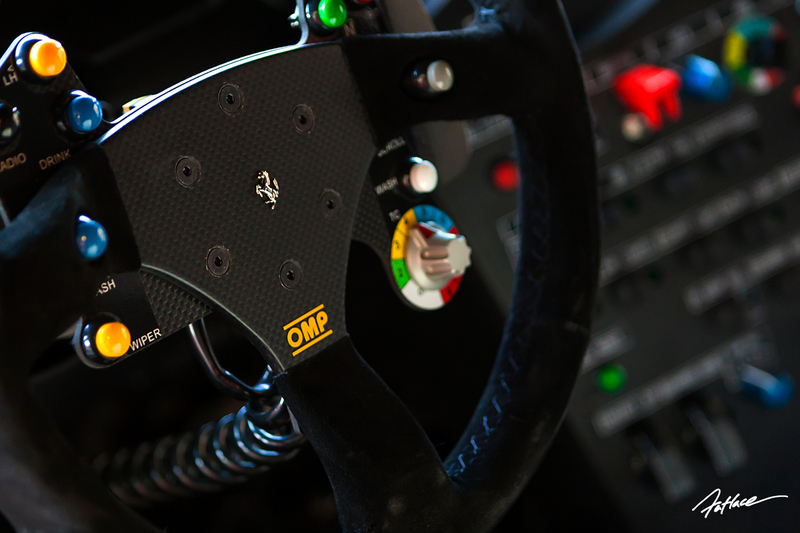 That was quickly returned as I spent the day with Australian GT driver Ben Foessel. 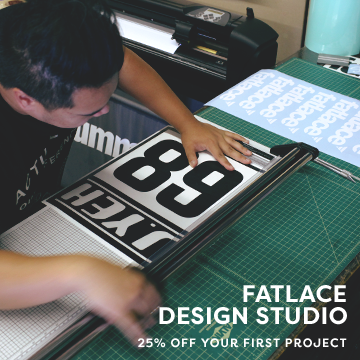 His excitement and enthusiasm for his craft is inspiring and reminded me why I do what I do. 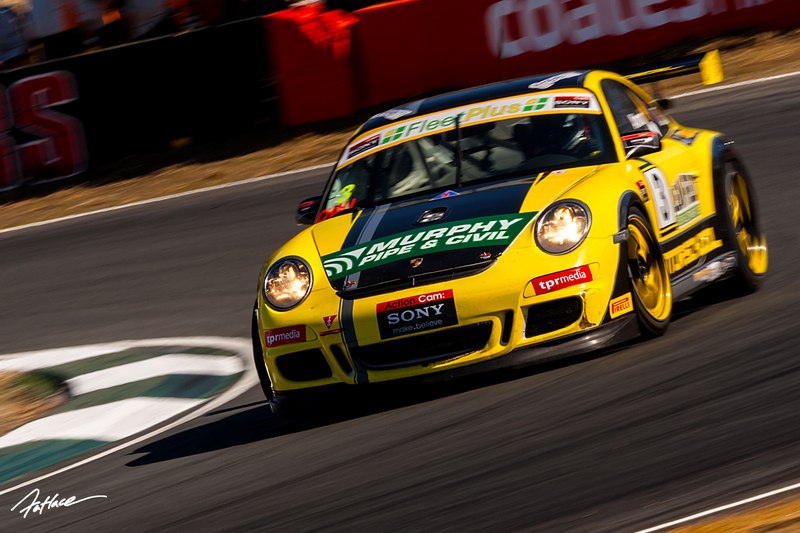 Ben wrapped his 2014 season taking out a back to back victory in the Challenge Class of Australian GT and has big things in store for 2015. In mid August I had a very special opportunity to spend the day with my Dad. He is the reason I am as obsessed as I am about cars. 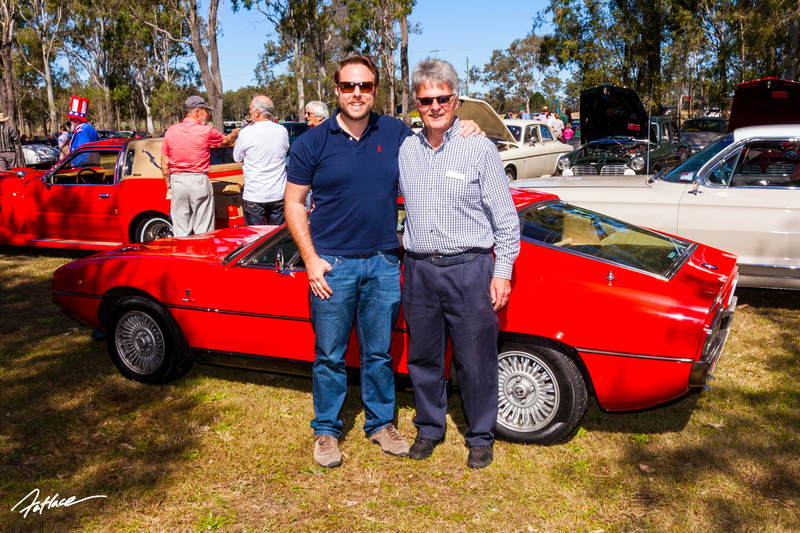 His love of beautiful classics rubbed off on me from an early age and at the dinner table, there are still always endless discussions about cars. 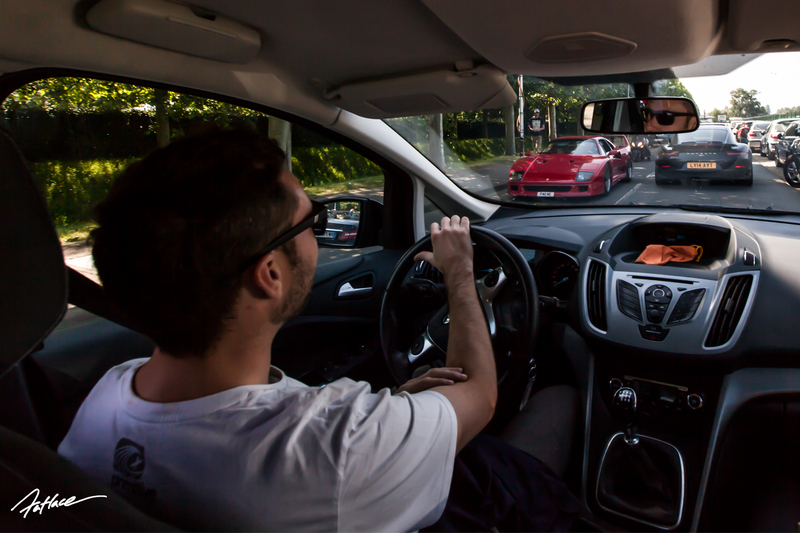 He was kind enough to let me drive his Alfa Romeo Montreal, a car that is simply gorgeous and with a V8 engine direct from their race program it’s a hell of a lot of fun to drive! 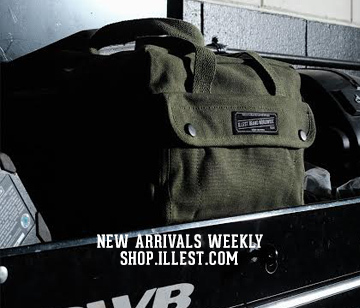 Heading into September was the biggest trip of the year. Three races, two countries and three manufacturers. 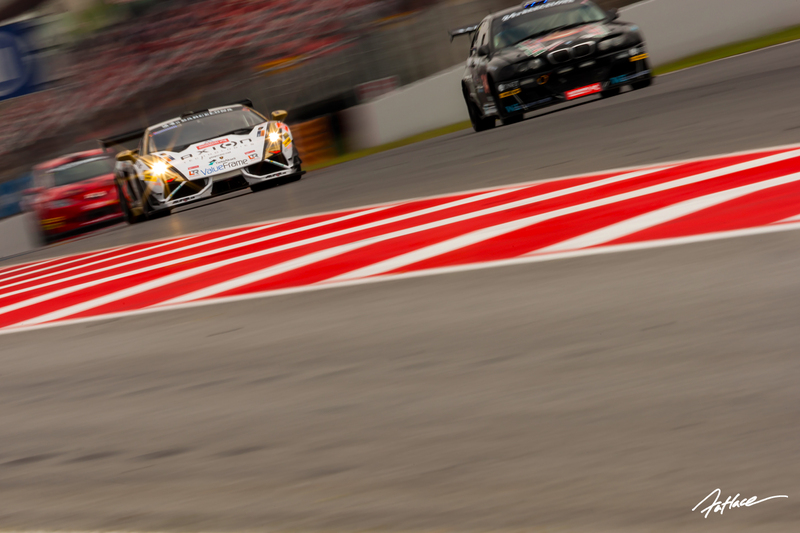 Lamborghini in Barcelona, then Aston Martin at the Ring for the VLN followed by the Nurburgring 1000 with Ferrari. Quite a trip by any standards! A Moto-GP destination, Circuit de Barcelona-Catalunya is a striking track. 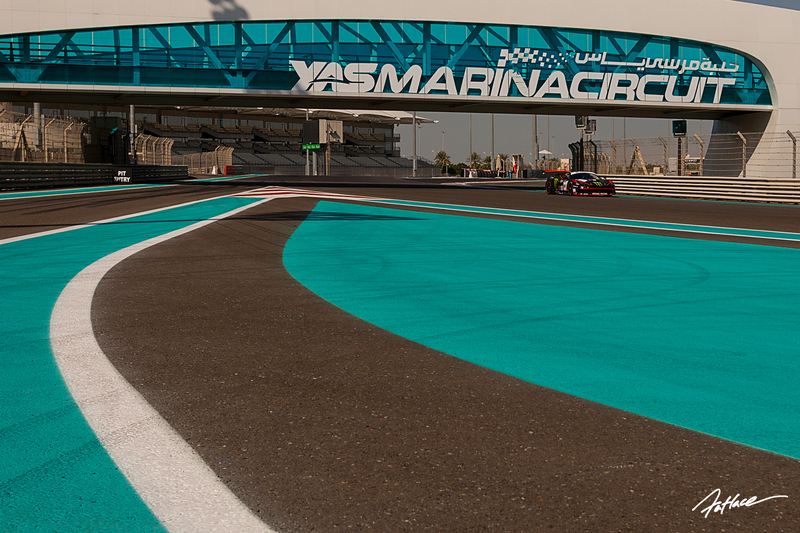 The circuit provided one of my favourite shots of the year. 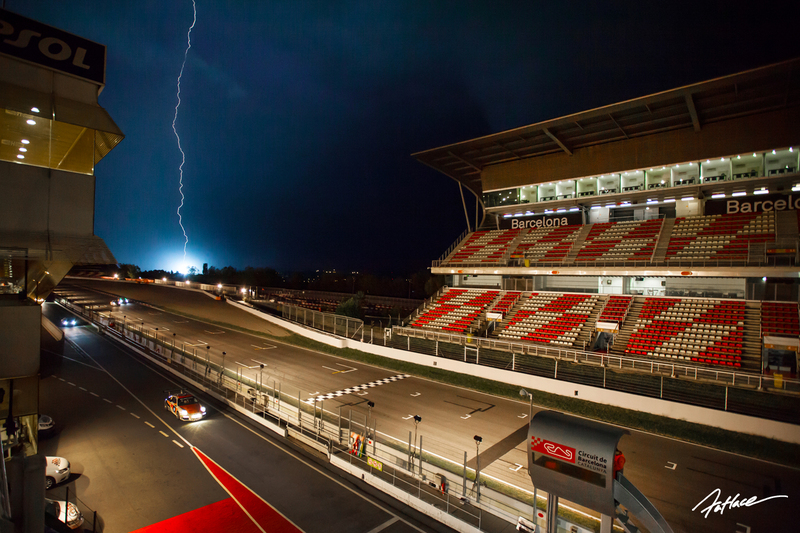 Standing on the roof of the pit garage in the rail and hail, I was determined to get this shot. Totally worth it. Just prior to this trip, I made the dive into 35mm, purchasing a Canon 1V. The compatibility with all my L Series lenses made it the perfect choice for me. I now get it when people talk about the feel that film shots have. Barcelona also provided one of my favourite podium shots of the year. 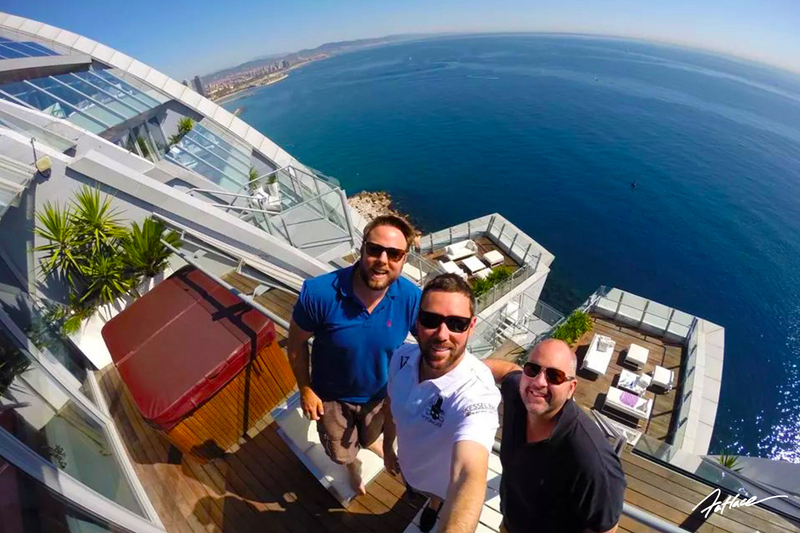 We had been told what a stunning place Barcelona is, but having only seen the track, we were a little confused. Sure the track was amazing, but we were out in an industrial estate, there wasn’t much else around. Then we found the beach and it all made sense. 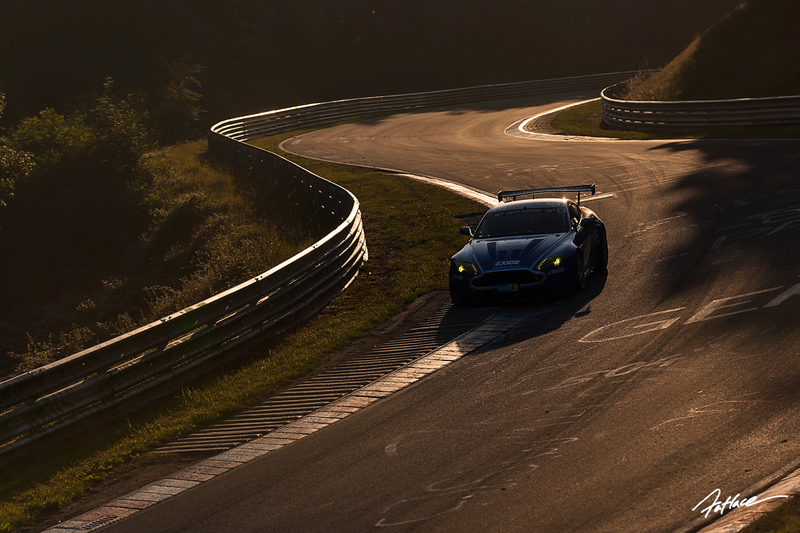 Our next stop was back at the Ring, as we were racing the VLN round that weekend with the Aston Martin Test Centre. Driving the N430, we were excited about race ahead. As Liam and David prepared for the weekend ahead, we were keeping a close eye on the weather. It looked like we were in for a stunning weekend, but had heard reports of a change coming. 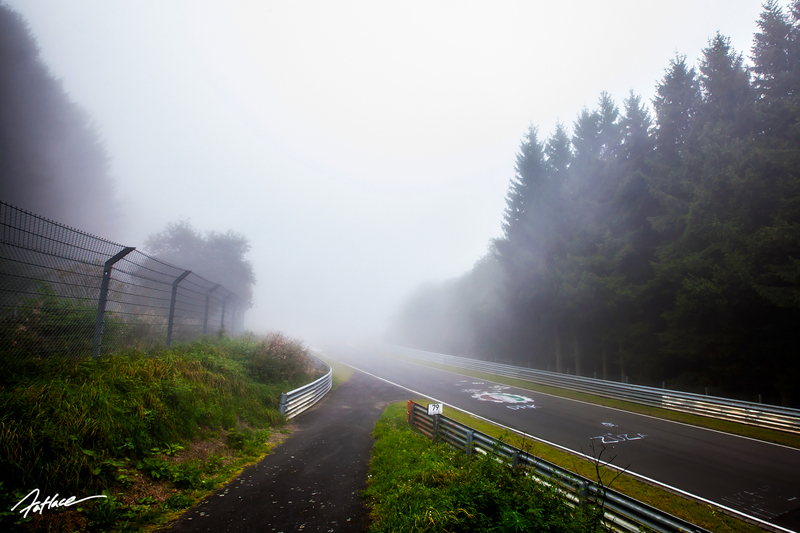 As we headed out on race day, the fog had rolled in. Visibility was down to 50m in some sections of the track. We now had to wait to see if it would lift. As we waited from word from the officials, I made my now 5th attempt to get to the outside of the Karussell. Now armed with a map of the fire trails, I was determined to get there. I’d walked to the inside and the proceeded to get lost in the forest numerous times trying to find this iconic corner. I finally made it to the place I so desperately wanted to photograph… just in time to get the call advising the race had been called off. So I present the officials cars tipping into the Karussell! Looks like I’ll have to go back for a 6th time to try and get some race cars! 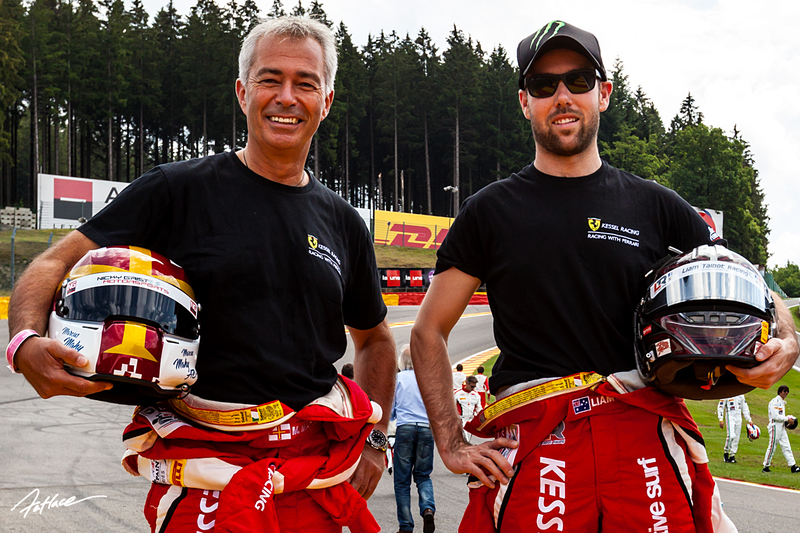 The following weekend, we were back with Kessel Racing in the Ferrari for the Nurburgring 1000. 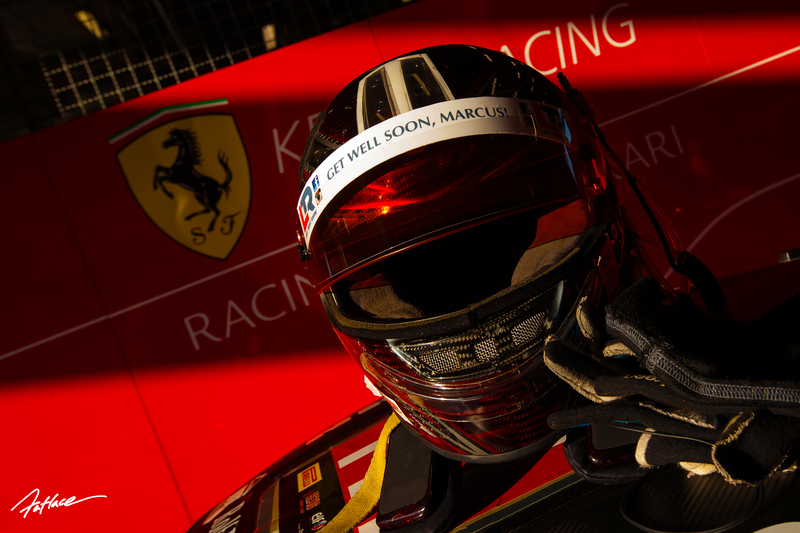 Our first race back with Kessel since Spa, our friend Marcus was very much on our minds. We had visited him in between races and it was exciting to see the progress he had made. Always focussed on the job at hand, Liam prepared to take on the Ring once again. 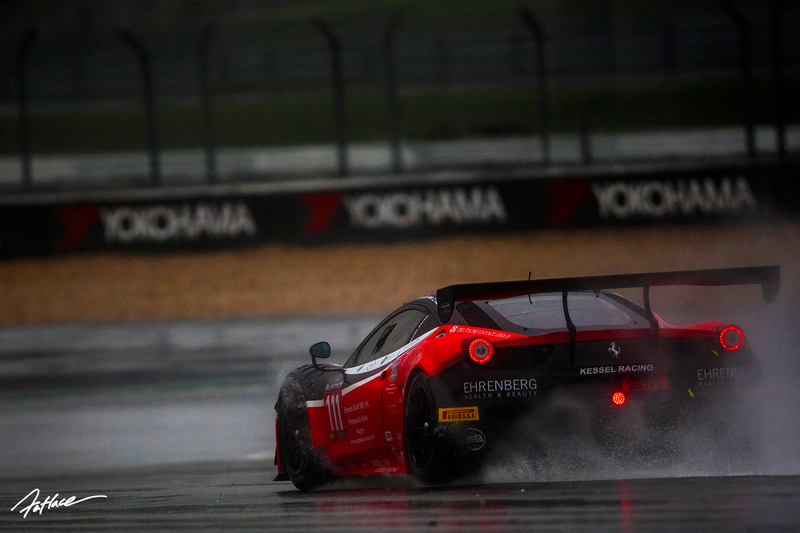 The weather was relentless, with the rain pouring throughout the race. 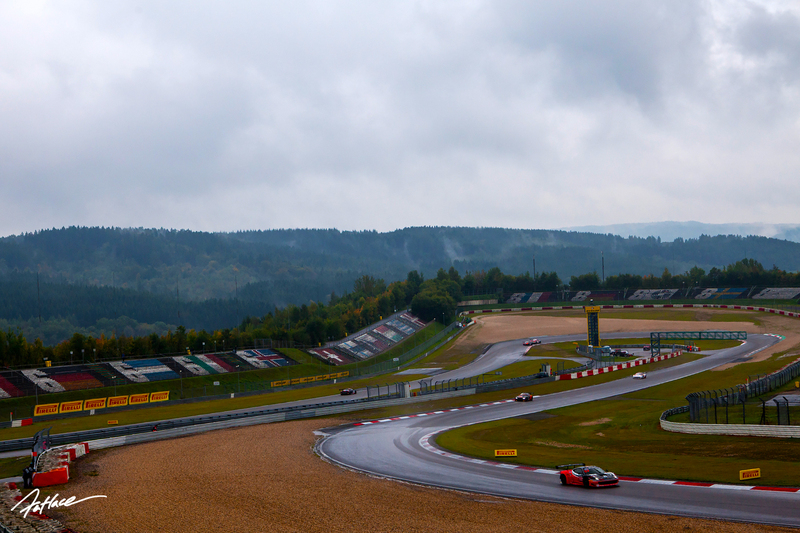 In the closing hours of the race, the weather started to clear for the first time. 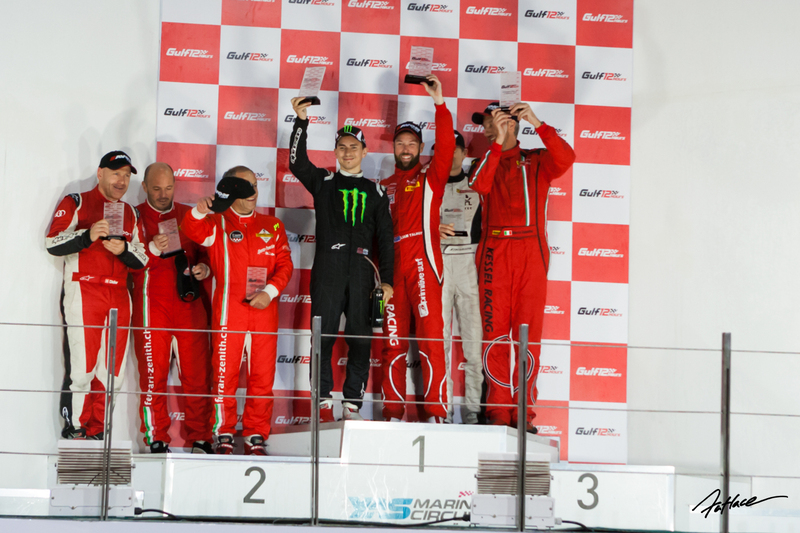 With the team having a starting issue on the line and commencing the race at the back of the pack, they fought incredibly hard through the race to make it to the front of the pack and managing to secure a place on the podium. One hell of an effort considering the conditions! 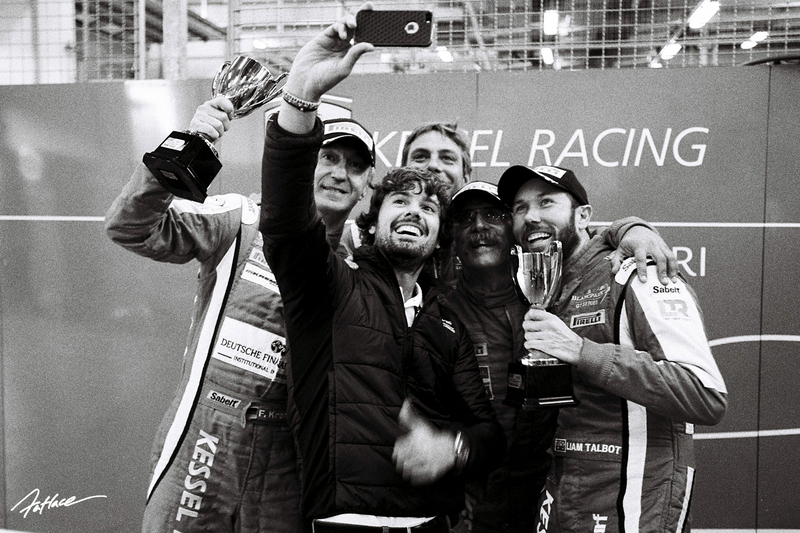 This moment really made me smile, as team boss Ronnie Kessel got the drivers together for a group selfie. There was something entertaining about catching this on 35mm film. 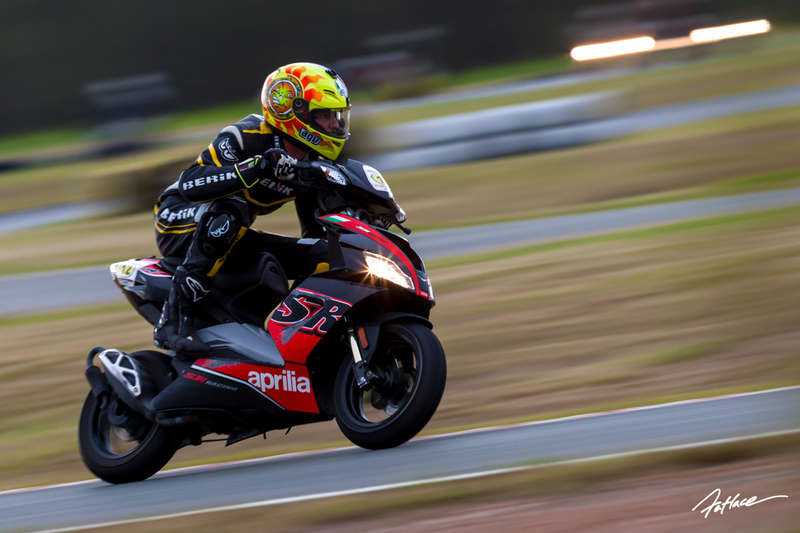 Having been to a few endurance races in 2014, when my friend John Newstead told me he was competing in the LeMinz 24 Hour Scooterthon, I couldn’t pass the opportunity to check it out! These guys are special kind of crazy. Pushing these little runabouts way past their intended limits was both genuinely impressive and hilarious at the same time. The year had already been ridiculous beyond measure, but there was one more stop that was going to blow us away. 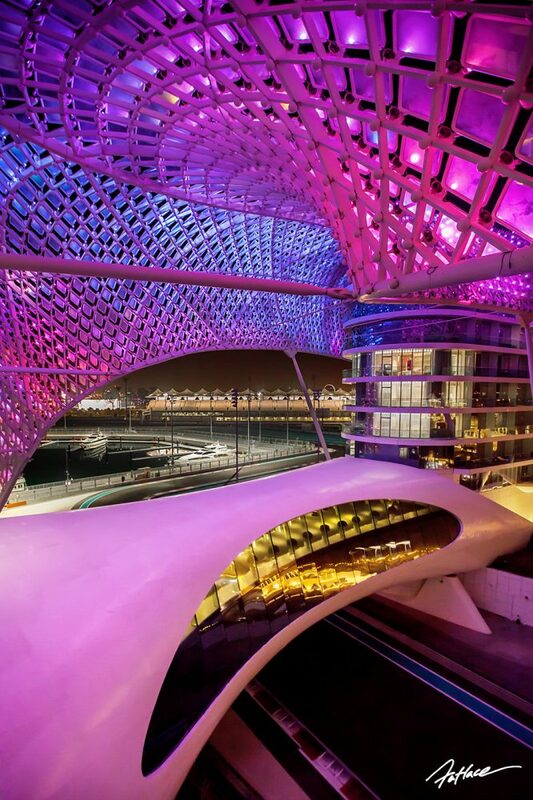 Arriving at the hotel at 2am, I stepped out on to our balcony at the Viceroy hotel and was absolutely floored by our view over Yas Marina in Abu Dhabi. 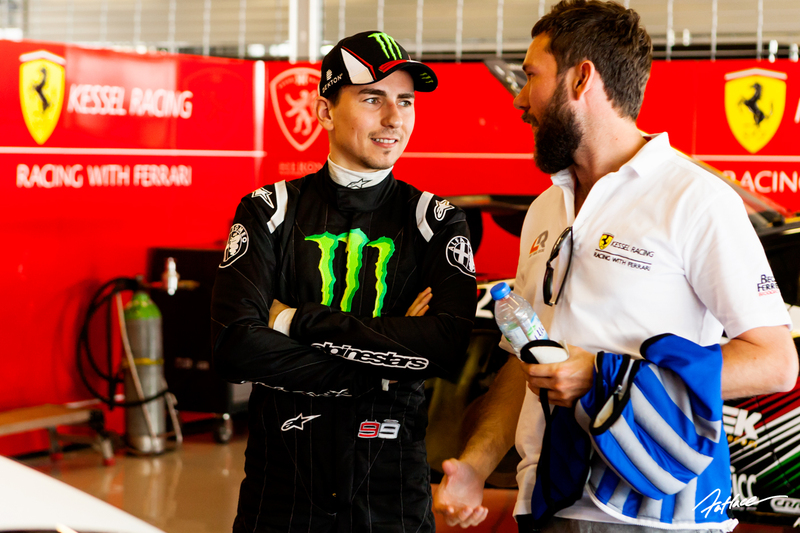 Not that we needed any more excitement, but Liam was invited by Kessel Racing to race with four time World Champion, Jorge Lorenzo. 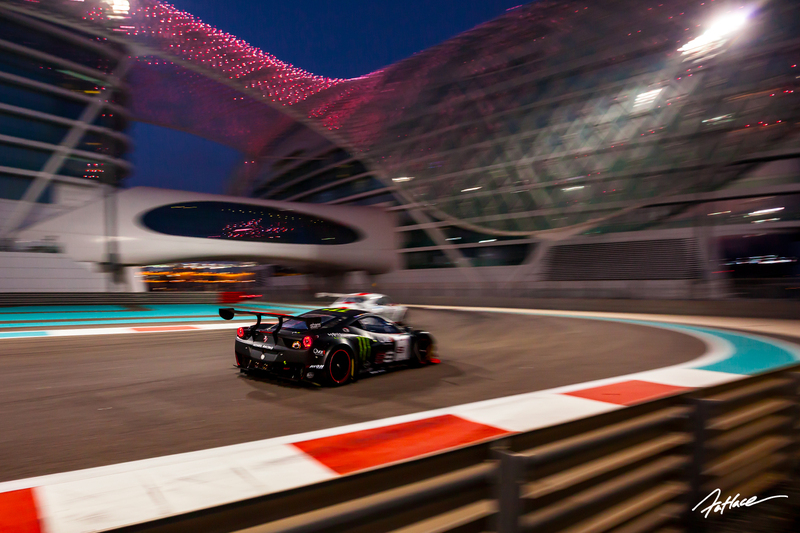 To be at Yas just weeks after the F1, with Liam racing again in the 458 with Lorenzo was a fitting end to a mind blowing year. The track was unlike anything I have ever seen. Just spectacular. 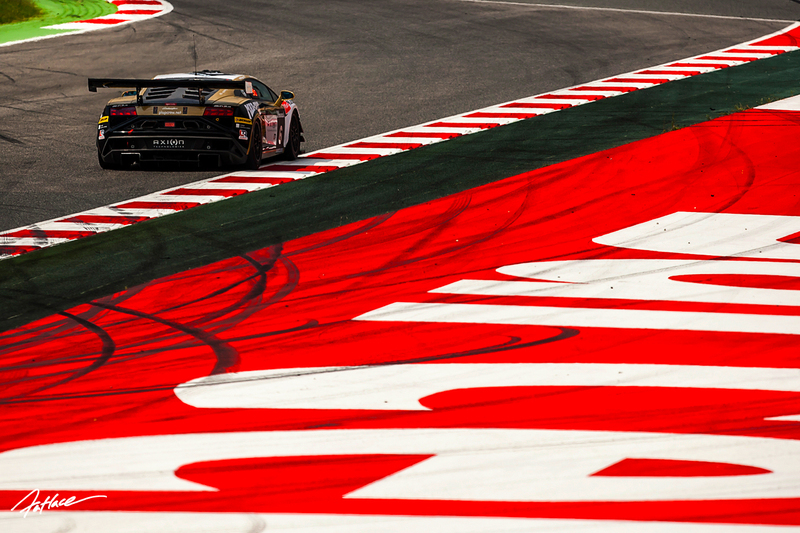 The 458 looked incredible on track. 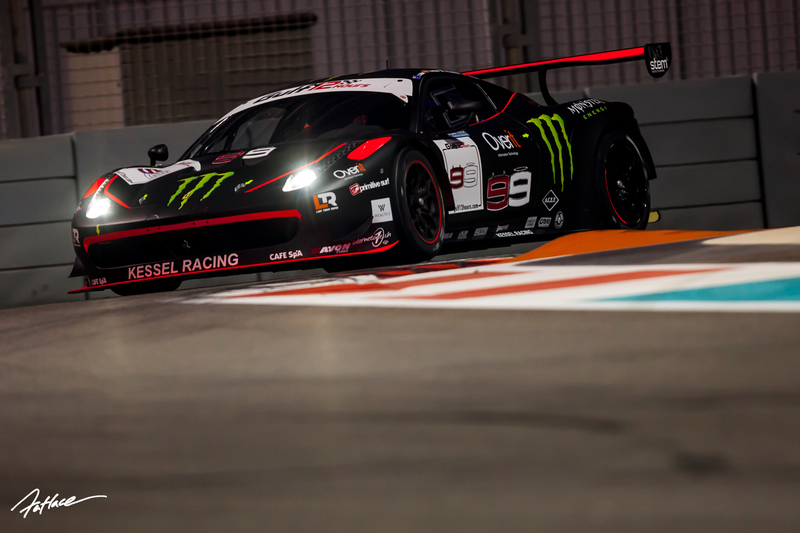 The matte black livery was certainly eye catching! 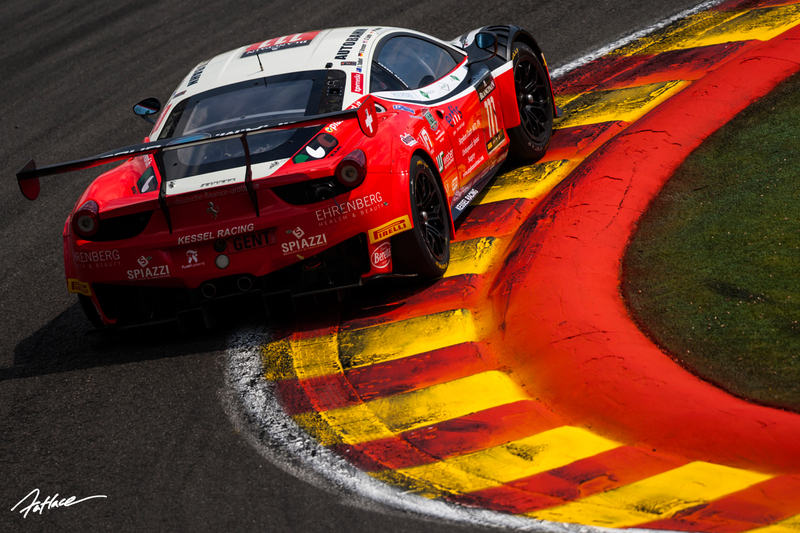 Shooting the Ferrari racing around this iconic circuit was a surreal experience. 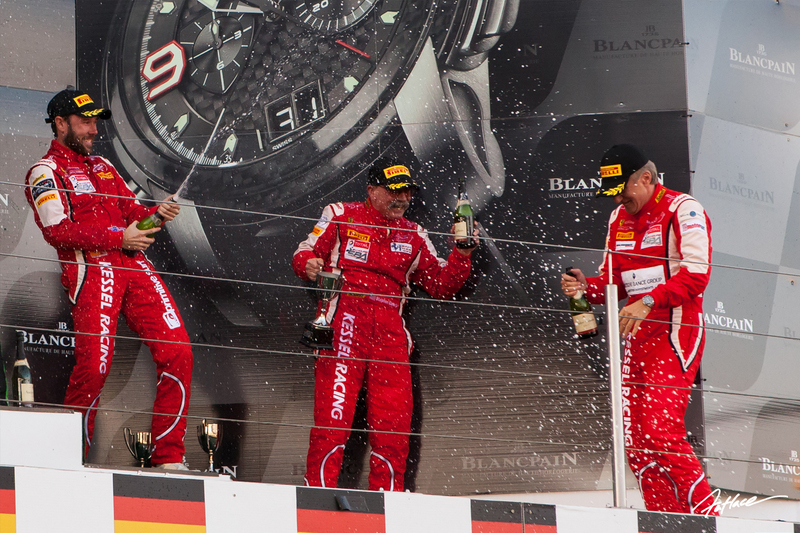 The team fought a great race and finished on the podium capping off the most incredible season of motorsport. I have looked back at the end of each year and wondered how on earth it could ever get any better than this. 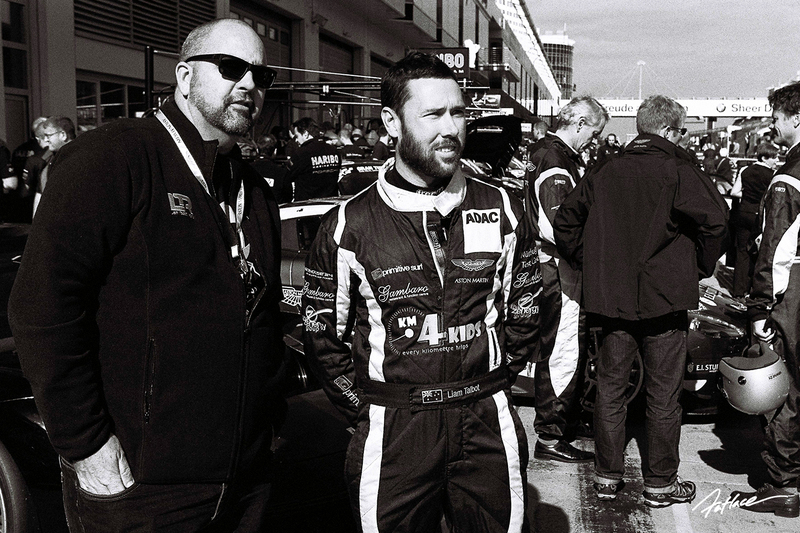 As I look back on the year that was 2014, I have to say a sincere thank you to Liam Talbot and David Hardman from Liam Talbot Racing for having me along to document these adventures. It has been a rollercoaster ride that I could have never imagined. 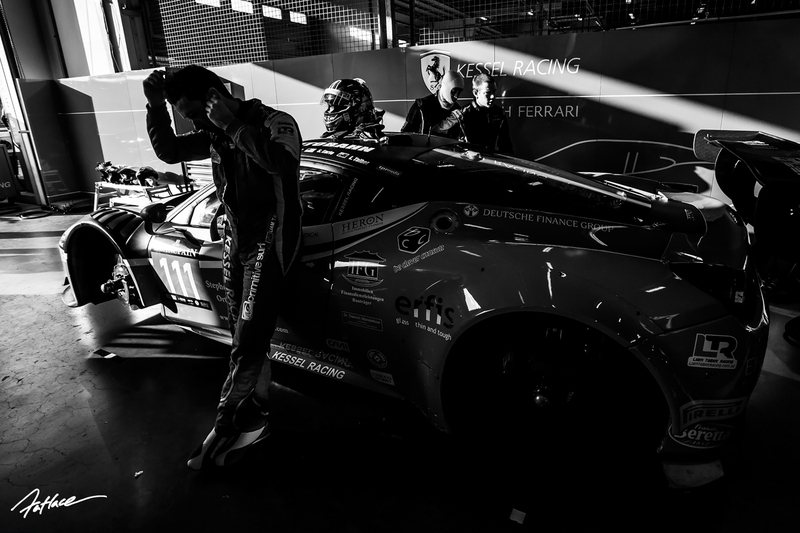 I leave you with one final image from 2014, taken of me by my friend Takuro Nagami on the starting grid at Yas Marina. This is the face of a man who is living his dreams, who has worked and sacrificed more than I’d ever admit to make this happen. I am truly grateful for these opportunities and push myself every time I pick up the camera. I sit here reflecting on the year that was and am in awe of all that has happened. 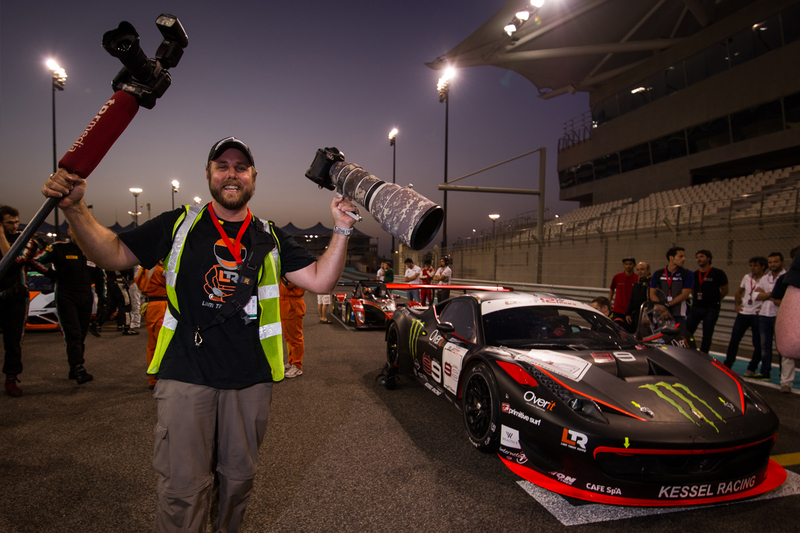 Thank you to the people in my life that make these adventures possible, never in my wildest dreams did I imagine anything like this being possible when I first picked up a camera and started shooting grassroots motorsport events. 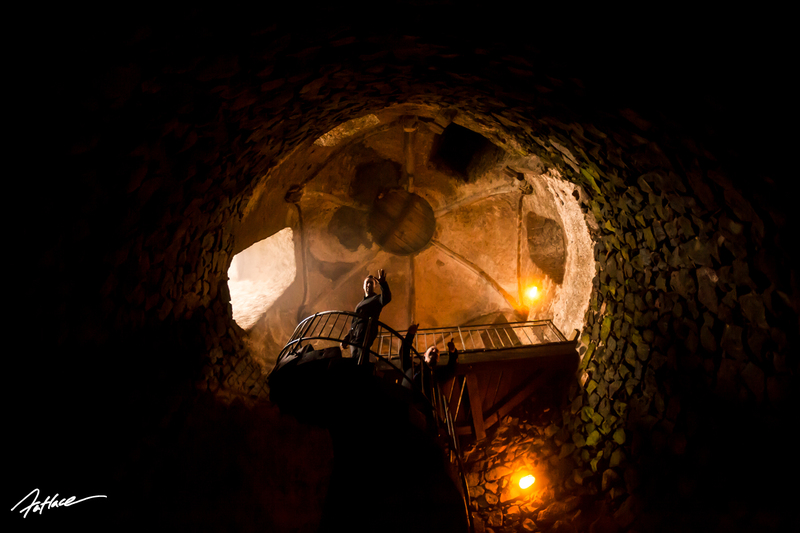 very good stuff – great photos! Amazing photos as always! Live that dream brother!